The Staples boys swimming and diving team began the season with a splash. Staples opened the season with two home victories, vanquishing Trumbull, 105-73, last Wednesday, and Danbury, 97-73 Friday. The Wreckers won the first event of the season behind their seniors. Matthew Wisher and captains Joss Abel, David Katter and Kyle Bacon, ruled the 200-meter medley relay with a time of 2:00.58. Junior, Matthew Wetmore won the 200-meter freestyle (2:15.37). "I have been training very hard." Wetmore said. "I have been practicing twice a day-before and after school." It looks like that intensity sure paid off and not just for him but also for the whole team. Abel triumphed in the 50-meter freestyle (27.07). Sophomore Jonathan Blansfield won the 100-meter butterfly (1:05.01) and 100-meter backstroke (1:06.45). In the 200-meter freestyle relay, sophomore, Justin Krakoff, junior Marcus Russi, sophomore Christopher Mombello and Wetmore (1:49.34) prevailed. And junior Andrew Cohen was tops on the diving board (105.01). Two days later, Staples won eight events against Danbury. Blansfied, junior Trevor Locke, Bacon and sophomore Tyler Crowder ruled the 200-medley relay (2:06.73). Abel dominated distance events by triumphing in the 200-free (2:10.30) and 400-meter freestyle (4:40.25). Blansfield continued his winning streak by taking the 200-meter individual medley. (2:22.04). Russi won the 50-free (27.73). Bacon was victorious in the 100-fly (1:05.52). Wisher won the 100-meter freestyle (58.63). Junior Tanner Blank (187.10) won in diving. Although the Wreckers are 2-0, they shouldn't get too excited. Coach, Jeffrey Schare said that Trumbull and Danbury are the weaker teams in the league. But Staples didn't take it easy in its lanes. "Knowing this going in, we challenged the swimmers to compete in races that are not necessarily their strengths and they responded well," Schare said. Abel for example, generally competes in breaststroke and individual medley, but in these meets, he took a turn with the freestyle and excelled. But Schare felt that his swimmers were kind of carefree for the start and not pushing themselves enough. 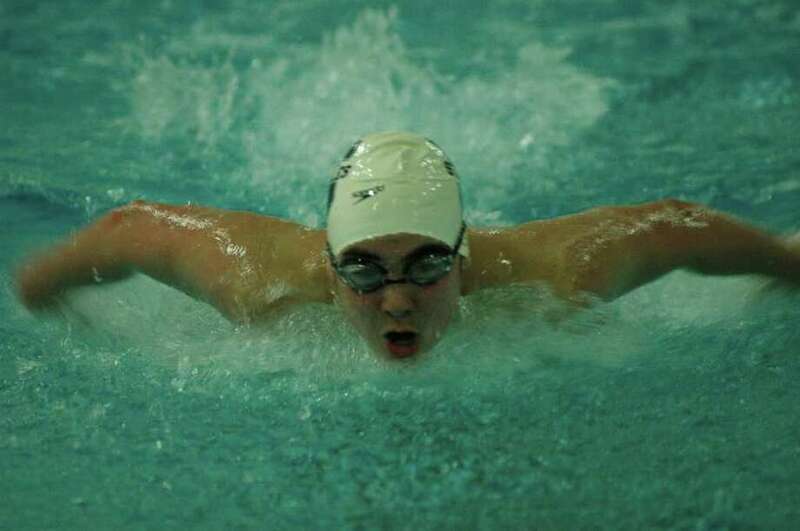 "We swam a little flat in the opening meet against Trumbull," Schare said. "After addressing this with the team, and than swimming a great practice on Thursday, we raced with more enthusiasm against Danbury." And the team spirit increased drastically on Friday as well. "The team was especially loud with spirit and the energy seemed to get everyone up for their races," Schare said. Overall, Staples is proud to be 2-0 and just wants it to get better. "The team is definitely excited about winning the first two meets," Bacon said. "But we know have some important meets coming up after winter break so we will continue to work even harder."